As online ordering has increased, some of the large pizza chains have stopped posting online printable coupons. Instead, they issue coupon codes and click-through offers. 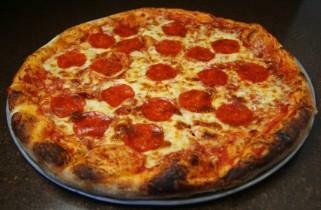 Even so, the resources below should help you to affordably satisfy your pizza cravings for some time to come. Chuck E. Cheese's: Use the pull-down menus to select your state and location, and be transported to a full page of printable coupons for pizza and fun adventures with Chuck E. This page also allows you to add your name to the Chuck E. Cheese's email list to receive additional coupons and offers. Donatos: Just key in your zip code to receive printable coupons and coupon codes for Donatos array of pizzas, subs and salads. You may also sign up for their Email and Text Club. Donatos has nearly 200 restaurants in 5 states. East of Chicago: Just click and print, and you'll be well on your ways to pizza savings. You can also sign up for their email list on the same page. East of Chicago has dozens of locations in four states. Pizza Inn: Pizza Inn has locations in 16 states, primarily in the Southeast. Just click and print to begin saving. Pizza Ranch: Pizza Ranch is a family-friendly Midwestern chain, known for its buffets and Kids Club. Hungry Howie's: Click to print the coupons, or sign up for Hungry Howie's email club on the same page. Pizza prices start at $5. Domino's: While Domino's doesn't specifically offer printable coupons online, they do offer a number of deals and discounts on their website. Coupon sites carry vast arrays of coupons and coupon codes for all kinds of products. They are also a gold mine for printable pizza coupons, frequently carrying a broader range of coupons than the restaurants' own sites. This site offers deals and coupons on everything from designer duds to doggy bags, and, yes, that range includes pizza coupons. Many of the pizza coupons are online codes, but you should be able to find printable coupons for some of your favorite pizza places as well. Each page also offers the opportunity to sign up to receive email alerts when new coupons and offers become available. Pizza Hut: Check out the P'zones and chocolate dunkers along with your pizza. Marco's: Marco's sauce is made from vine-ripened tomatoes just hours after picking. Figaro's: Figaro's offers several signature pizzas, including one that is gluten-free. Gatti's: Gatti's is now 140 stores strong and inspires new cravings daily. Blackjack: Better pizza, better price is Blackjack's motto. Extreme Pizza: Healthy options, gourmet pizza, and extreme delivery are a few of this company's hallmarks. Papa's Pizza to Go: There are over 50 Papa's Pizza To-Go restaurants in the Southwest. Pizza Pro: Pizza Pro strives to offer the highest quality, accompanied by the best customer satisfaction, at the best possible price. Breadeaux: French crusts are what separate Breadeaux from other gourmet pizzas. Mommy Saves Big is a blog that lists dozens of printable pizza coupons, encompassing broad range of brands, including: Pizza Hut, Uno Chicago Grill, Papa Murphy's, Sbarro, and more. Key in your location, and click Find Local Savings. Mouse over Print Local Coupons on the left menu, and select Restaurants. Search pizza in the search box at top of the page. Printable coupons and codes will both appear on the page. Under the printable coupons, select See More. Select and print the ones you want. Coupons.com is broadly known for their grocery coupons, and you'll find coupons for frozen pizzas in their Foods section. This site offers a nice range of pizza coupons, including those for Pizza Hut, Godfather's, and California Pizza Kitchen. In order to select the printable coupons you will need to check the Printable box in the left margin of each page. Otherwise, coupon codes will be included. Pizza coupons on social media sites are updated sporadically, but some are out there. Twitter posts coupons under the hash tags, "#pizzacoupon" and "#pizzacoupons." Pinterest posts a number of Pizza Hut coupons, as well as other pizza coupons. For those nights when you want dinner to be super simple, just toss a frozen pizza in the oven. Most grocery coupon sites carry coupons for frozen pizzas. In particular, PPGazette and Coupon Surfer offer a nice variety. Are you a fan of gooey cheeses and meats layered onto soft chewy crusts with Italian spices and a thick rich sauce? Do you prefer lots of fresh veggies piled onto a wafer-thin crispy crust with fresh basil and goat cheese? Whatever your pizza preferences may be, coupons can save you some money when it comes time to indulge your pizza cravings.